Over time, your skin may begin to loosen and sag. This may potentially cause jowls to form around the jawline. Dr. Ben Talei, a dual board certified facial plastic surgeon at the Beverly Hills Center for Plastic & Laser Surgery, offers cutting edge jowl lift procedures and jaw enhancement surgery. This is as well as other comprehensive face & neck plastic surgery procedures. For jowl elimination, Dr. Talei specializes in several varying jowl lift procedures. From the mini-facelift, deep plane facelifts to the full facelift, Dr. Talei can prescribe the perfect procedure to meet your goals. The mini-facelift, or weekend facelift as it has been coined, is an increasingly popular procedure because of its effectiveness and minimal downtime. Mini-facelifts can reclaim your youthful look through jowl elimination and define and enhance the jaw line. Mini-facelift procedures can be made using local anesthesia with no general anesthesia. With minimal incisions, this dramatically reduces patient downtime making it a perfect scenario for those with a busy lifestyle. Jowl elimination and jaw enhancements can also be made with the deep plane facelift. For those with advanced signs of aging through heavy skin sagging or drooping, the deep plane facelift is the answer. Dr. Talei is one of just a handful of physicians nationwide that specialize in deep place facelifts. This state-of-the-art procedure repositions the soft tissues that are sagging without any tension or visible tightness, giving patients completely natural, rejuvenated look. Jowl lift surgery and jaw enhancement procedures are often done in partnership with chin augmentations, rhinoplasty procedures or neck lifts. Together, these techniques can fully restore a younger, more revitalized and balanced appearance. Dr. Talei brings his high skill level, artistic eye and delicate hand to the operating room, giving you naturally, beautiful results. 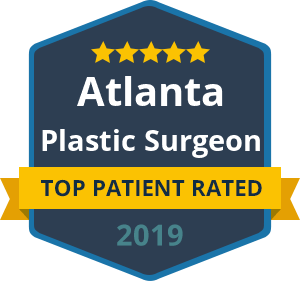 With dual fellowship training in facial cosmetic and reconstructive surgery and vascular birthmarks and congenital anomalies with laser surgery, Dr. Talei can renew your face and jawline giving you natural, younger look. Contact our jowl lift surgery specialists today to schedule a consultation with Dr. Talei. We look forward to hearing from you.